First tour at 9:00 AM. Last tour departs at 15:00 PM. Tours run every 20 minutes daily. 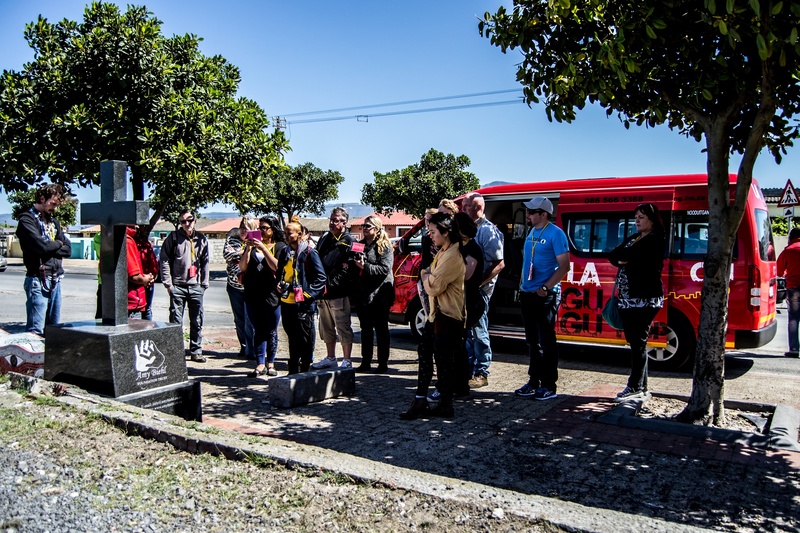 Visit Cape Town’s first and oldest township, Langa, and neighbouring township Gugulethu on this Hop-on, hop-off tour. With marked pick-up and drop-off points in the area, LaGuGu allows you to take your time and see as much or as little of each stop as you like. Once you’ve worked up an appetite, hop-on the bus and head to Gugulethu. There, experience an unforgettable meal at Mzoli’s, a lively braai (barbeque) restaurant. The experience also includes a free one-hour walking tour and bicycle ride in Langa, where you’ll be introduced to the vibrant township community and the bustling Langa Arts Quarter. Buses leave every 20 minutes with the first bus at 9 am and the last bus departing at 3 pm. The entire circuit can be completed in a minimum of 2 hours.